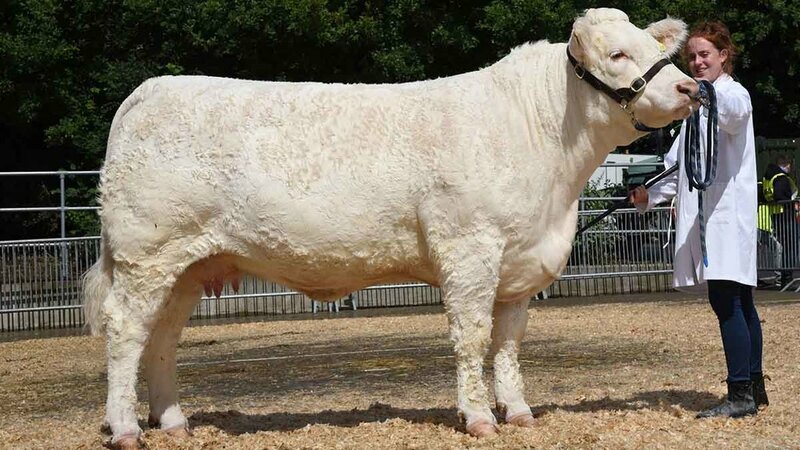 FOR the second successive year the beef inter-breed title at Bakewell went to the Charolais heifer, Newroddige Jody from J.D. Leavesley, Burton on Trent. 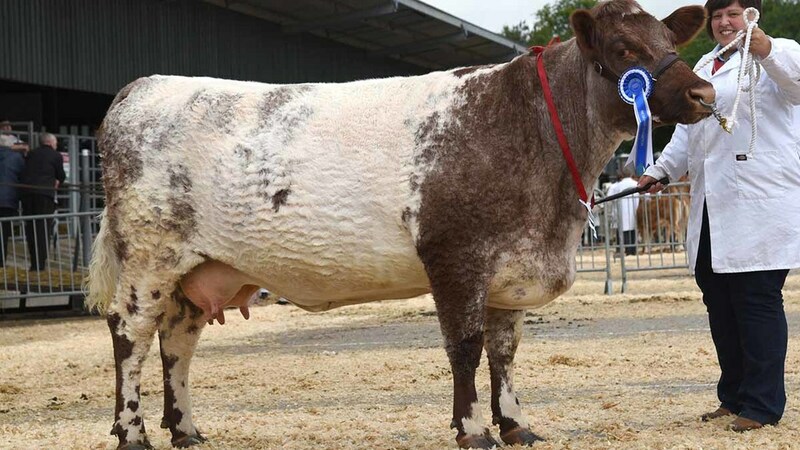 The three-year-old by 30,000gns Balmyle Bollinger which was shown with its December-born calf at foot and in calve again has already been reserve supreme at Stafford and breed champion at Derby and Ashby this season. The judge, David Throp, Derbyshire, said he could not fault his champion and was particularly impressed with its marvellous mobility. Standing reserve was the 2015 inter-breed champion, Roundhill Saffron Rose, a five-year-old Beef Shorthorn cow by Pode Hole Brigadier. Owned and bred by Emma Trueman, Buxton, and shown with its June-born bull calf it was making its seasonal debut. 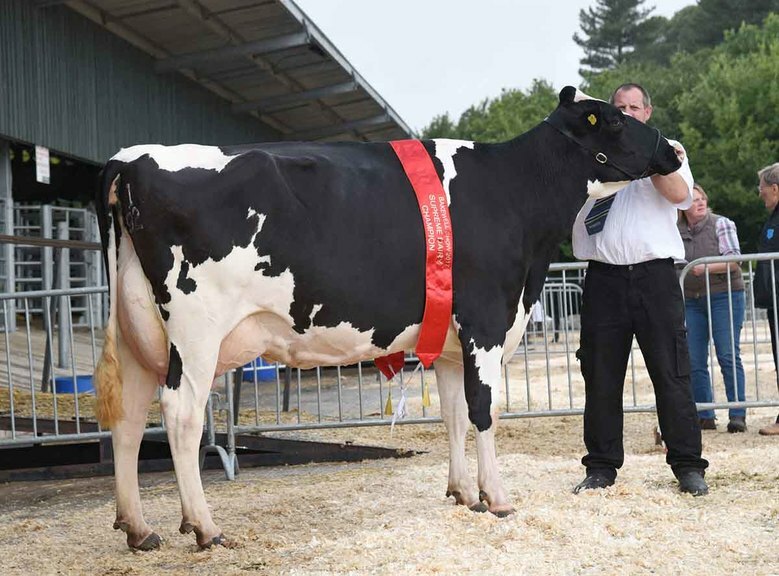 The junior heifer championship also went to the Leavesleys, whose herd is being dispersed at Welshpool market in September, with home-bred Tutbury Massie, by Unico. In reserve was Emma Bishop, Milton Keynes, with Dinmore Macaroon, a maiden heifer by Diamant, which was bought at Newark market in April 2016. The family also claimed the commercial championship with Sally Anna, a Limousin-sired heifer bought at Barnard Castle in November. 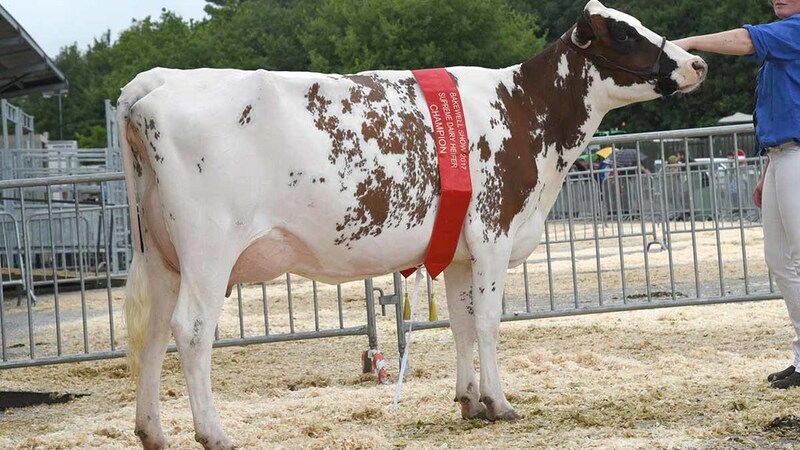 In the dairy rings the supreme award went to the Holstein champion, Meldamar Fever Belle, a third calver by Crackholm Fever which has now taken the breed championship at the show for two years running. Exhibited by James Melvin and Diane Shepherd from Hassop, it calved in January and is giving 39kg daily. The reserve rosette and also the supreme heifer title went to the Ayrshire champion, Bigginvale Buttermilk, from R.T. and J.I. Adams, Ashbourne and shown by Joanne Adams. By Cuthill Towers Madison and having calved at the end of June it was on its first outing. Judge, Pat Crapper, Dronfield said the champion was a very well balanced cow with good legs and feet but the reserve was a lovely heifer which would go a long way. Taking their first ever sheep inter-breed title were Brian and Jo Newton, Mansfield with Ettrick Waterboy, a two-shear Texel ram by Ettrick Vagabond which they bought at the national sale at Lanark as a lamb. Already a winner at the Derbyshire Texel Club show and Ashby this season, it is the stock ram for their Moorgate flock. In reserve was the any other continental breed champion, a home-bred Charollais shearling ewe from Sam Furness’ Middleton House flock, Tideswell. By Loanhead O’Gara it had not been shown before. 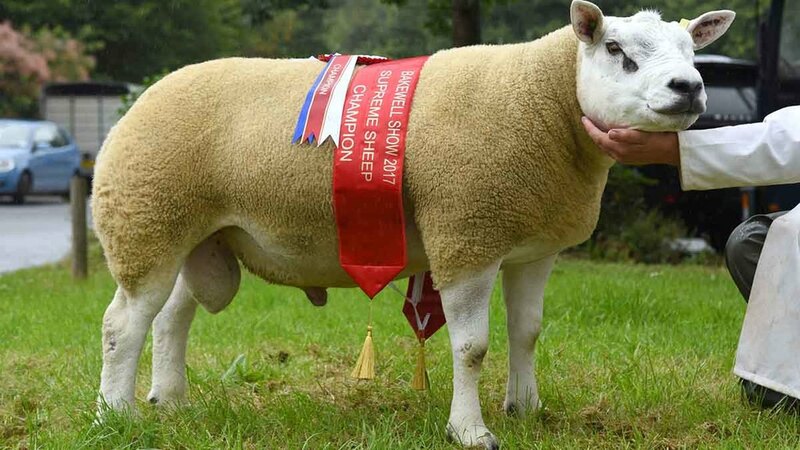 Fresh from winning the breed championship at the Royal Welsh Show, Jensen Bowden from Disley claimed both the champion and reserve rosettes in the Derbyshire Gritstone section with a two-shear and a shearling ram from his Middlecale flock. Inter-breed (P. Crapper, Dronfield) Supreme, J.M. and D. Shepherd, Meldamar Fever Belle (Holstein); reserve, R.T. and J.I. Adams, Bigginvale Buttermilk 99 (Ayrshire). Dairy Shorthorn (M. Crank, South Wirral) Sup., J. Hole and Sons, Amber Princess Anne 68; res., J. Hole and Sons, Amber Dainty Princess 200. Holstein (M. Gould, Shropshire) Sup., J.M. and D. Shepherd, Meldamar Fever Belle; res., J.M. Shepherd, Meldamar Doge Belle 54. Ayrshire (I. Patrick, Lancashire) Sup., R.T. and J.I. Adams, Bigginvale Buttermilk 99; res., P. Berresford, Heydale Serengeti. Dexter (S. Adcock, Staffordshire) Sup., J. Nuttall, Brenin Llewellyn; res., J. Foxton, Smallshaw Dottie. Inter-breed (D. Thorp, Derbyshire) Sup., J.D. Leavesley, Newroddige Jody (Charolais); res., E. Trueman, Roundhill Saffron Rose. Hereford (A. Pittam, Northamptonshire) Sup., A. and S. Stevenson, Alvian 1 Magical Lass; res., A. and G. Stevenson, Alvian 1 Nambian Miss. Charolais (T.W. Cox, Derbyshire) Sup., J.D. Leavesley, Newroddige Jody; res., J.D. Leavesley, Tutbury Massie. Limousin (T.W. Cox) Sup., E. Bishop, Dinmore Macaroon; res., G.R. Fountaine, Calverton Maria. Any other breed (P. Close, Berwickshire) Sup., E. Trueman, Roundhill Saffron Rose (Beef Shorthorn); res., P. Marsden, Lowercroft Lottie (Blonde). British Blue (D. Rees, Dyfed) Sup., D. Byard, Blackberry Kendal; res., V. and G. Bowring, Windmill Lambretta. Highland (L. Wardle, Staffordshire) Sup., R. Wain, Lilly of the Rose; res., R. Wain, Paris of the Rose. Longhorn (P. Close) Sup., Briar Mead Longhorns, Briar Mead Precious Valentine; res., Briar Mead Longhorns, Gorse Valentine Rose. Commercial (S. Elliott, Derbyshire) Sup. and fem., M. Dickens, Sally Anna; res. and male, M.J. Brown, Jimmy; res. fem., E. Wynne, Black Beauty; res. male, Dickinson and Powdrill, Robin. Inter-breed (all breed judges) Sup., J. Newton (Texel); res., S. Furness (Charollais). Jacob (J. Emberton, Worcestershire) Sup., and res., B. Stanley. Texel (A. Davenport, Sandbach) Sup., J. Newton; res., F. Rushton. Beltex (C. Maguire, Lancashire) Sup., T. and J. Belfield; res., E.D. Jones. Lleyn (A. Kelly, Worcestershire) Sup. and res., T.P. Radford. Derbyshire Gritstone (N. Davis, Derbyshire) Sup., and res., J. Bowden. Any other native breed (N. Davis) S. Percival (Hampshire Down); res., J. Webster (North Country Cheviot).